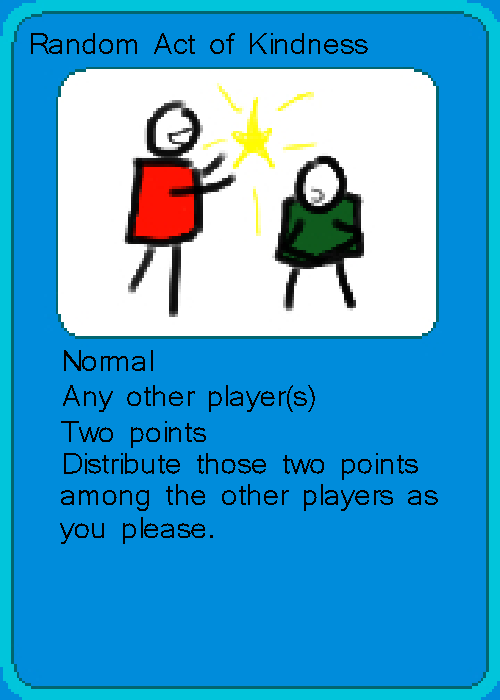 Helping Hand is a 2-6 person card game about being better than your friends at being a good person. 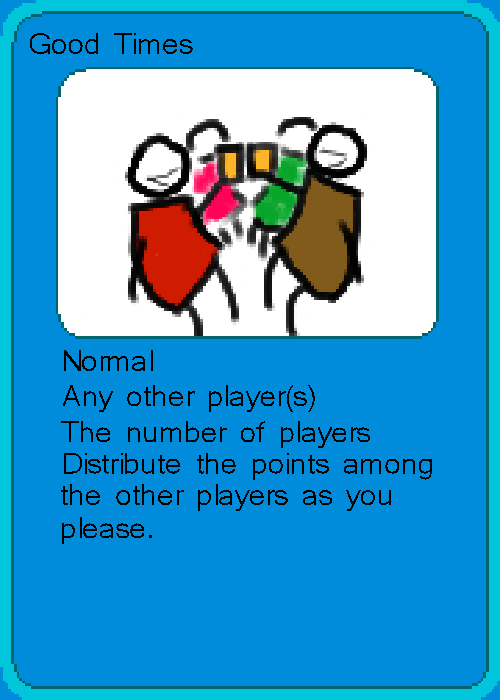 This was one of my freshman year projects, for our card game assignment. This game was inspired by a friend of mine who was infuriatingly good at being a better person than I was. 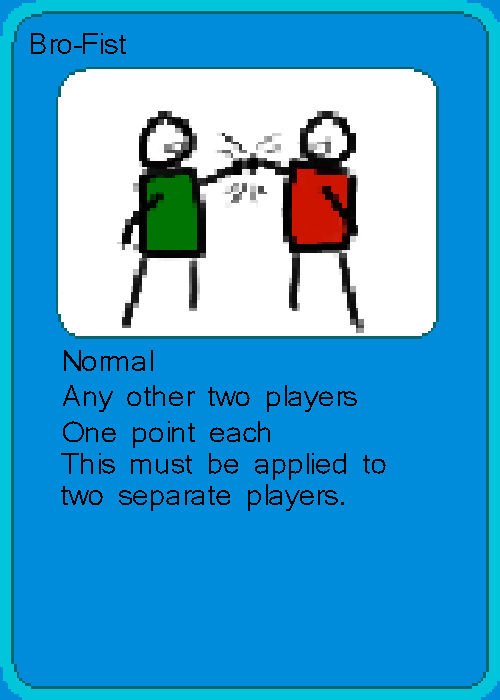 It's a good party game and whenever I'd get people together to play it, they'd have fun. For a long time I tried to reinvent it to be a little easier to get into, but I haven't been able to successfully accomplish that yet.